Adulting can be such a drag. There are taxes to file, balanced meals to prep, jobs that expect you to show up day in and day out. And, while kids get entire months off from school in the summertime, where is our grown-up summer vacation? Well, as the warmer nights approach, we suggest signing up for one of L.A.’s camp-in movie experiences. It won’t schedule your dentist appointment, but at least you’ll get a weekend of nothing but fun flicks, outdoor activities, and fireside camaraderie with some fellow adult-ish folks. The concept goes like this: You buy a ticket in advance, just like you would for any other outdoor movie screening, but instead of showing up with just a lawn chair and a picnic, you’re setting up camp for the whole weekend. 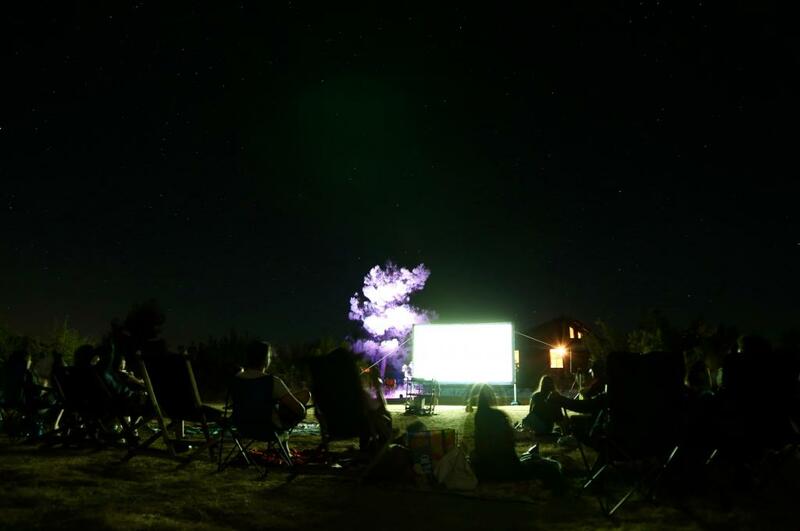 The experiences typically include fancier food and drink options than your average campout (whiskey tastings, wine bars, and morning speciality coffee stations have all been known to pop up), and assorted activities that carry on the theme of the movie screening at the center of the event. Launched last year with just one event, Camp-In-Movies has announced a season of three summer screenings for 2018. They will be doing Wet Hot American Summer on May 19 and 20 in Newberry Springs, Fast Times at Ridgemont High on July 21 and 22 in Malibu, and Goonies on September 22 and 23 in Cuyama Valley. 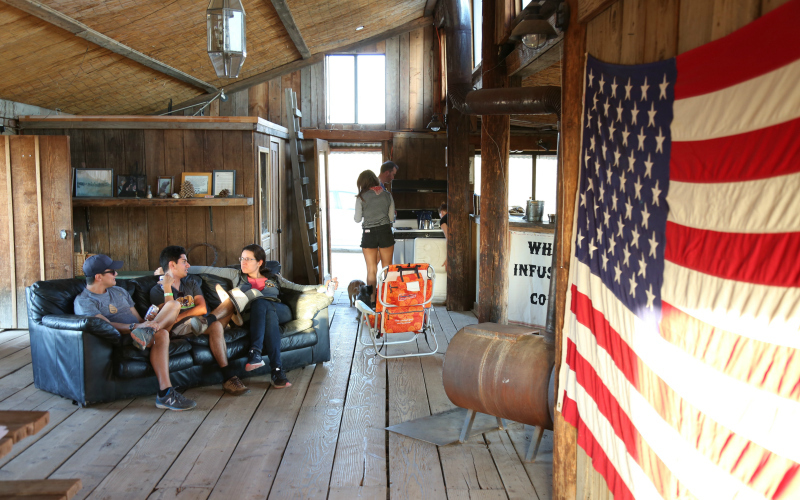 Each location comes with different amenities and offerings that will remind you of nostalgic camp outs. There are natural swimming spots at all the campsites, and Camp-In-Movies also organizes group scavenger hunts, zip-line rides, lawn games, arts and crafts, and saloons and communal spaces to socialize. Tickets run $40 to $60 and campers must be 21+, though small children can attend if they’re with a parent. 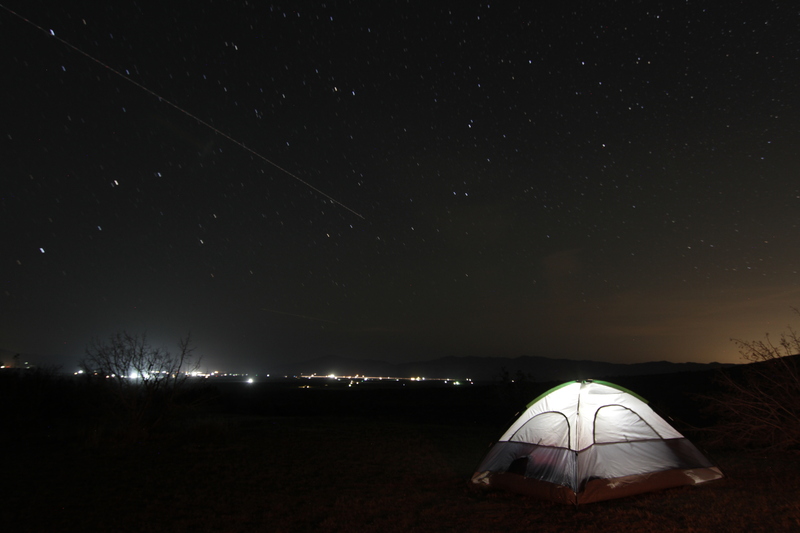 You can bring your own tent and camping gear, or pre-book a curated camping pack from rental shop Coozie Camping. Last year, Street Food Cinema also got into the overnight movie game with two camp-in screenings at King Gillette Ranch. Details of any 2018 events will be announced on their website later in the spring.